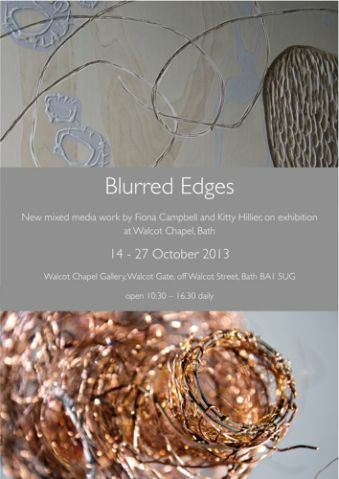 New work by award-winning artists Fiona Campbell and Kitty Hillier. ‘Blurred Edges’ exploits undefined boundaries between line and form, distinct contrasts and interesting crossovers between the two artists’ work. Their different use of media (Fiona constructs organic 3d forms in metal & found materials, Kitty creates abstract 2d paint & wood pieces) adds to the dynamic interaction.